When the Armament Gauge ability is used, the top card of the deck is placed face-down beneath the unit with the ability. It's similar to soul, but for rearguards. 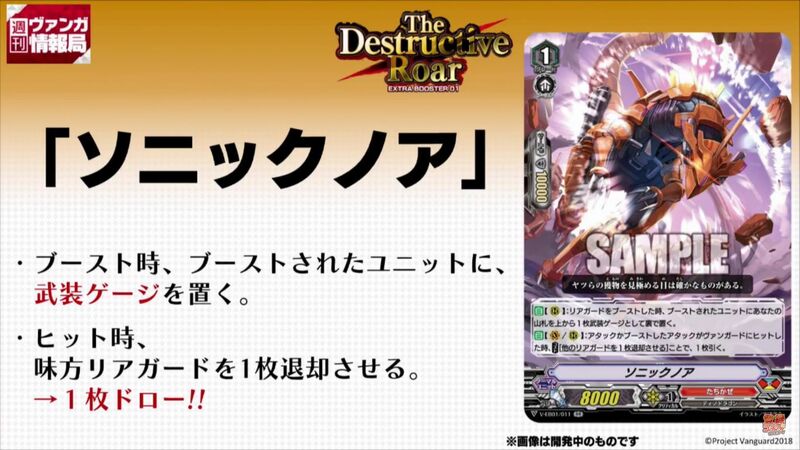 (But it cannot be used to pay soulblasts.) 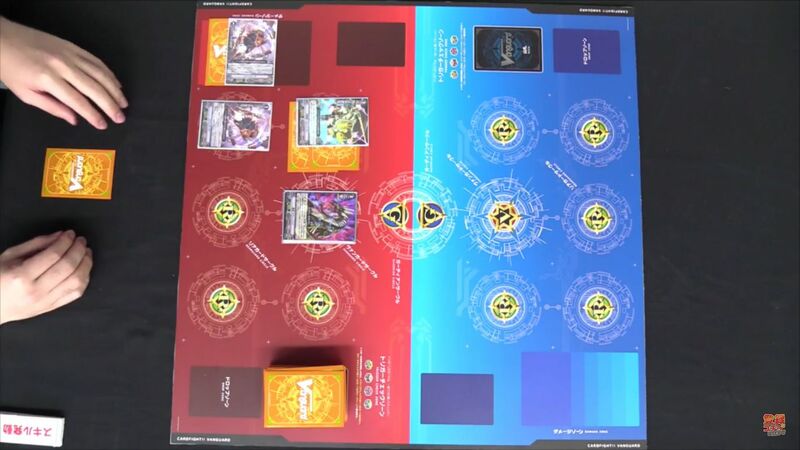 If a rearguard with Armament Gauge is retired, after all effects are resolved, the cards in the Armament Gauge go to the drop zone. AUTO [Rearguard Circle]: When it boosts a rearguard, place the top card of your deck face-down as the boosted unit's Armament Gauge. 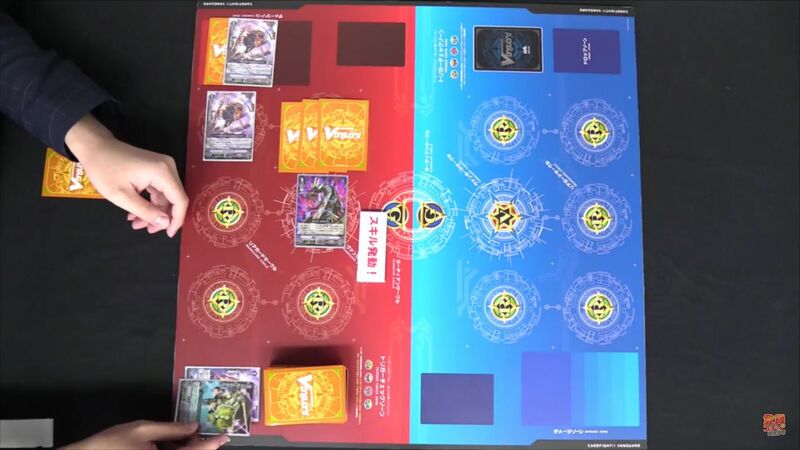 Sonic Noa is a Double Rare in V-EB01, V-EB01/011 RR. 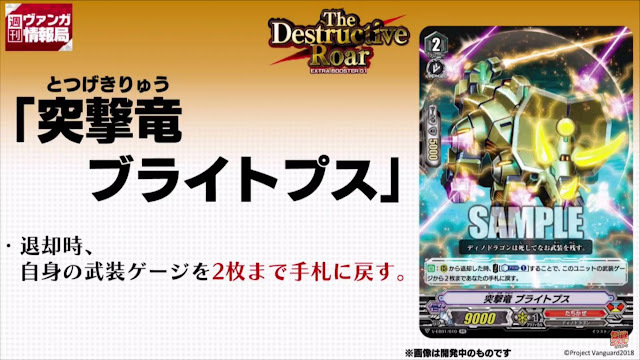 AUTO: When it is retired from Rearguard Circle, [Cost: Counterblast 1] put up to 2 cards from this unit's Armament Gauge into your hand. 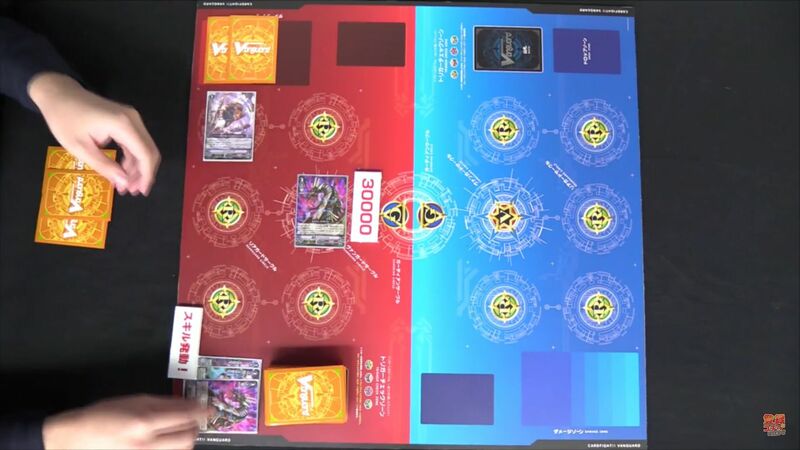 Blightops is a Double Rare, V-EB01/010 RR. 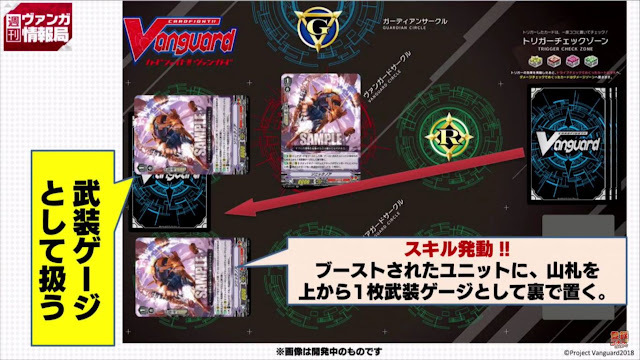 AUTO [Vanguard/Rearguard Circles]: When it attacks a vanguard, [Cost: Soulblast 1, retire 1 of your other rearguards] choose 1 of your opponent's rearguards in the front row, retire it, and for every card in the Armament Gauge of the unit retired for this cost, this unit gets Power +10000 until the end of that battle. 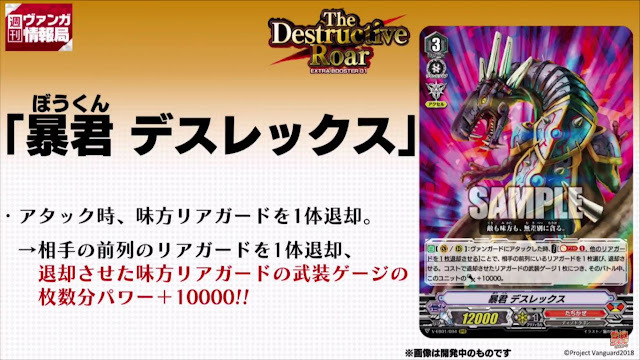 Deathrex is Tachikaze's first Triple Rare of the set, V-EB01/004 RRR. 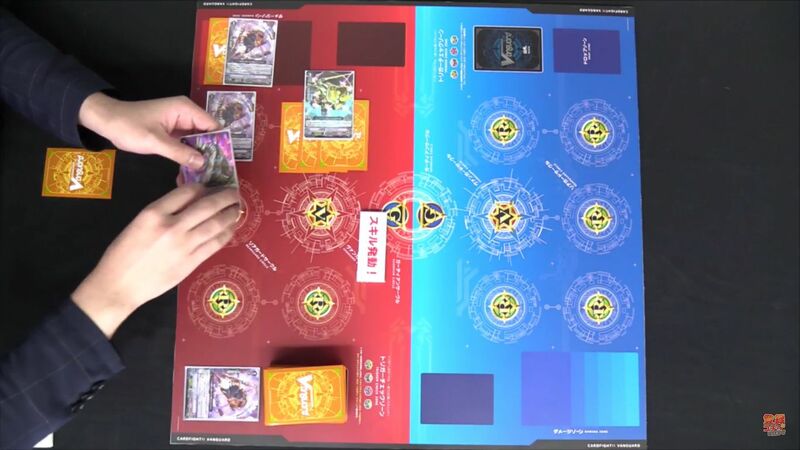 In this example, Blightops already has 2 cards in its Armament Gauge from being boosted by Sonic Noa previously. Blightops attacks, and Sonic Noa's skill places another card face-down from the top of the deck into Blightops' Armament Gauge. Deathrex attacks, soulblasts 1 and retires Blightops' for its cost, and gains +30000 power because there are 3 cards in Blightops' Armament Gauge. Blightops' skill meets its check timing, and by paying counterblast 1, 2 of the cards in its Armament Gauge are added to hand. 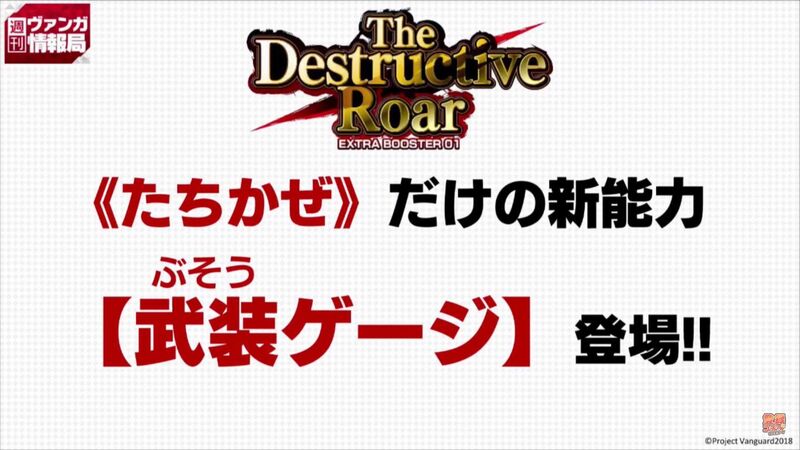 The rest go to the drop zone.